Excellent machine. Very versatile and long lasting. Laminating is a breeze. Safe for you! Safe for the environment! Offering three solutions in one easy-to-use package, the Xyron Pro 1255 makes applying adhesive to mockups, storyboards, or comps up to 11.75" wide fast and easy. Instantly applies laminate, adhesive, or both without heat or electricity. Simply feed the item in, turn the handle, and trim. No smell, no mess, no waiting. This all in one machine will keep your work environment free from hazardous fumes and help conform with workplace health and safety regulations in Canada. 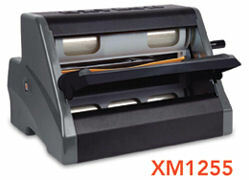 The patented drop-in cartridges allow users to quickly switch between applications, making the Xyron Pro XM1255 the most versatile machine on the block. 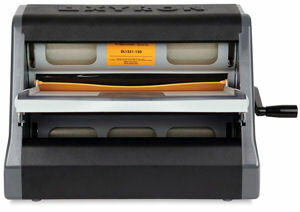 Its improved adhesive aggressiveness, coupled with high pressure rollers, improves both transfer and bonding quality. Wrinkles or bubbles are much less likely to form. Adheres to any surface including glossy, and applies more accurately. 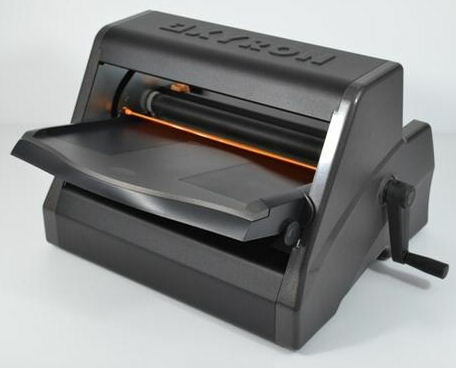 Cold laminators are faster and easier to use than hot laminators. No warm-up time, ready when you are. No roller tension or thermostat to adjust. All you have to do is turn the handle. Low maintenance and no contracts. No Training necessary to run; most anyone can operate. Ideal for untrained or unsupervised staff who still have a need for the machine. Great for schools, government, military, libraries, advertising agencies, graphic arts, marketing departments, and offices. Environmentally friendly and workplace friendly. Perfect for Schools - Laminate and mount artwork on walls with repositionable film. Safe to use for teachers and students because it does not use heat or electricity. Perfect for Ad Agencies - Mount instantly art material without spray. Make mock-ups for boxes. Create comps, signs and displays. Perfect for Offices - Laminate Signs, Maps, Menus, Travel Guides, and Hang Post Up Notes. 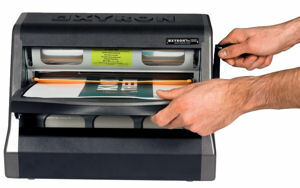 Perfect for Quickprinters - Creat signs and short-run labels.